5709 Bolick Road, Claremont, NC 28610 (#3415795) :: Robert Greene Real Estate, Inc. 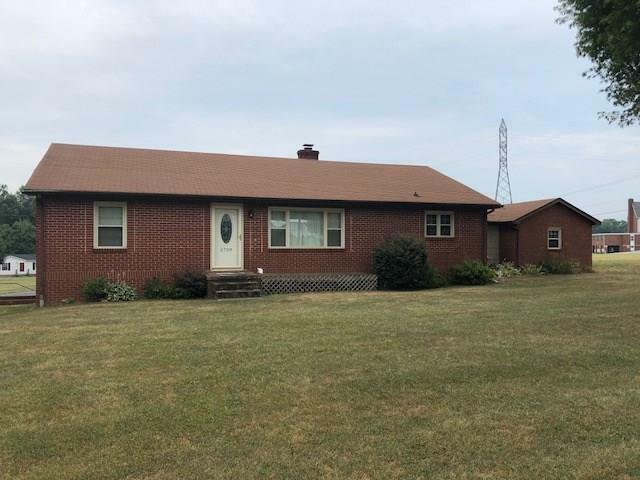 Very nice Brick Ranch with Basement located in the country. Hardwood floors throughout with tile in bathrooms. Home remodeled approx 7 yrs ago with Paint, Windows, and refinished Hardwood floors and tile in baths and kitchen Cabinets were added as well as counter tops. There are two cedar lined closets in the home. Full unfinished basement. Survey says there lot is 1.01 acres, but there is a right of way for the neighbors to use which according to the deed is .247 acre, and there is a .133 acre Bolick Rd right of way, which leaves the .630 acre the size of the lot on the tax card.